Jiminy is getting used to the humans but he’s still really needy for me. He always tried to cuddle and lick me. I hit him once in a awhile; I have a busy day of sleeping and studying. My hours for reading are limited since cats sleep a lot, we sleep 12-16 hours a day. It’s like Jiminy is my shadow. He’s usually within five feet of me at all times except when he needs the bathroom. Jiminy is beginning to learn that when I look at him a certain way or hit him several times to go somewhere else. I am done with being licked and I like my space when I sleep. He always tries to squeeze in. The other day, I slapped him and he went running to Subject B and she was so happy. He’s finally learned to go to them when I need my time. The humans are slobs and never make their bed. We prefer sleeping on top of the sheets anyway. 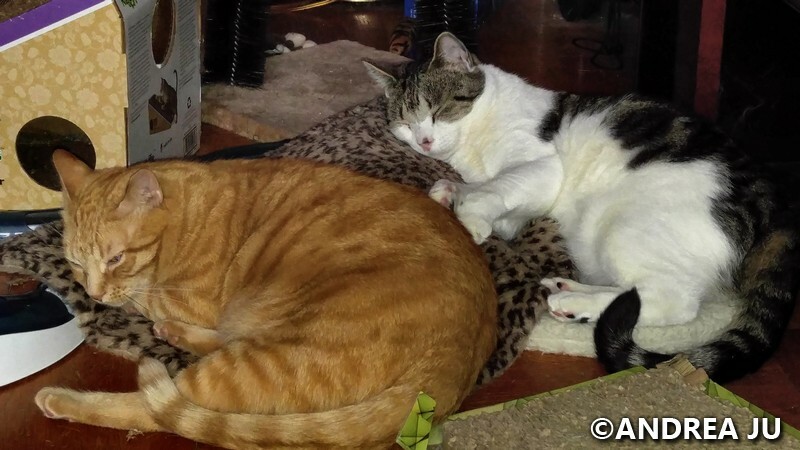 The humans were telling a friend, Subject D, a woman who volunteers at the same cat group Subject B volunteers for about how Jiminy finally comes running for attention after I’m sick of him. I have two needy humans and a needy cat. I get sensory overload, it’s just too much. D knows Jiminy from the shelter, says to B and starts laughing, “Aw, aren’t you happy coming in second?” B is beaming that Jiminy finally wants attention. The lesson is: Teach the humans to learn to know their place. Cats rule. Private time in my study. 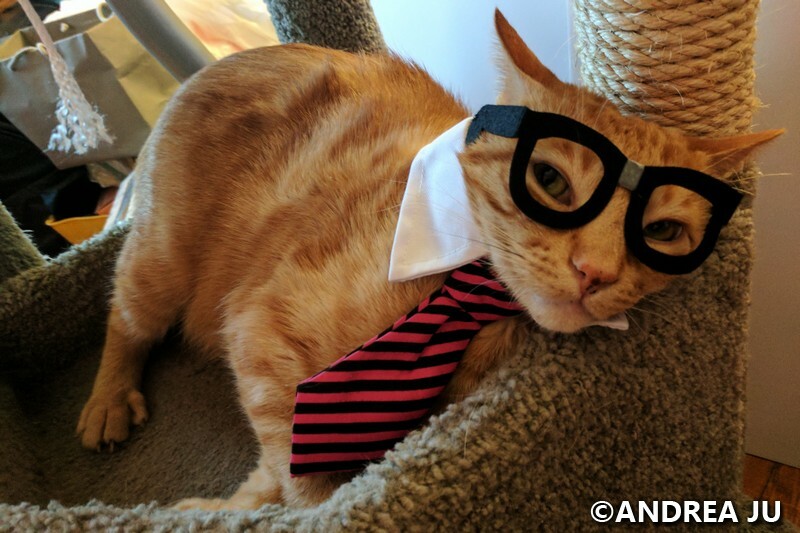 Posted on April 1, 2017 by jebusandandrea	This entry was posted in Cats, Jebus Mews, Studies of Dr. Chewie and tagged Cat in Costume, Cats, Caturday, Companion Animal, Felines. Bookmark the permalink.